It would be so easy to give up. To throw in this towel of motherhood and let someone else fight my domestic wife and mommy battles. The world tells me that I am not enough if I am just a mom. That I could be more productive and more valuable to society if I spent my time elsewhere. They say that my kids will not be educationally prepared or socialized enough if I homeschool them. That there will always be someone more competent to give them the tools they need to grow up into well-adjusted, capable adults. They tell me that I will never be good enough, smart enough, eloquent enough, focused enough. So why do I even bother? Sometimes I am so close to believing them. It would be so easy to quit this simple life I lead. Put my kids in daycare, preschool and all-day kindergarten, where the hands that hold and the voices that teach are more educated, more equipped and better qualified to take care of my kids. It would be the worldly-wise thing to spend my days on Facebook or doing whatever I want with my time. I could get a job outside the home and provide another paycheck to pay for private school, a larger home, a nanny or housekeeping service and all the toys and stuff we “need” to be happy…. 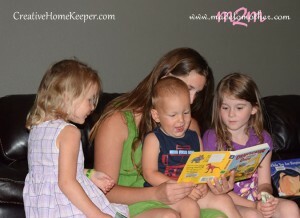 Read the rest over at Creative Home Keeper! Yay for you! You are doing what is best for your kids at this time and you should feel good about it. I am a public school teacher and have been for 30 years and I have been known to say exactly what makes you cringe-“but you don’t have an education degree”. However, we as parents are our children’s first teacher always and your desire and love will provide your kids with what they need. Plus you are working to find the best resources, praying for and with your kids and loving them through all of the hard moments. There truly are some parents that are not suited for homeschooling so educators sometimes will make these blanket statements. Please keep doing what you are doing so your kids know love, know God and learn what they need to know. Sometimes kids do not get these in school! There are some things in life where it does matter what other people think but your decision to Homeschool is not one of those things. Sometimes a good offense is the best defense. Make yourself familiar with homeschooling success stories as well as the current statistics for homeschool students in America. I think you will find no Homeschool has become a great option for many Americans. I homeschooled my daughter through middle school only. She is a college graduate and living a happy life. Great guest post. We are headed down the same dirt road and couldn’t be happier with the decision. Thank you for sharing. I found it at A Look at the Book. Absolutely LOVED this post! You have a wonderful perspective and are confident in your decisions. I wish more stay at home wives and mothers would be proud of their decisions to do so. It truly is a blessing to have this time with our kids, serving our families. It is frustrating to me to see other put worldly mindsets above the best interests of their families, but most of all I am just saddened by it. We don’t have to follow the status quo to be happy. You prove that. Keep up the hard work, mama! You are doing a great job. This was so perfect to read today. 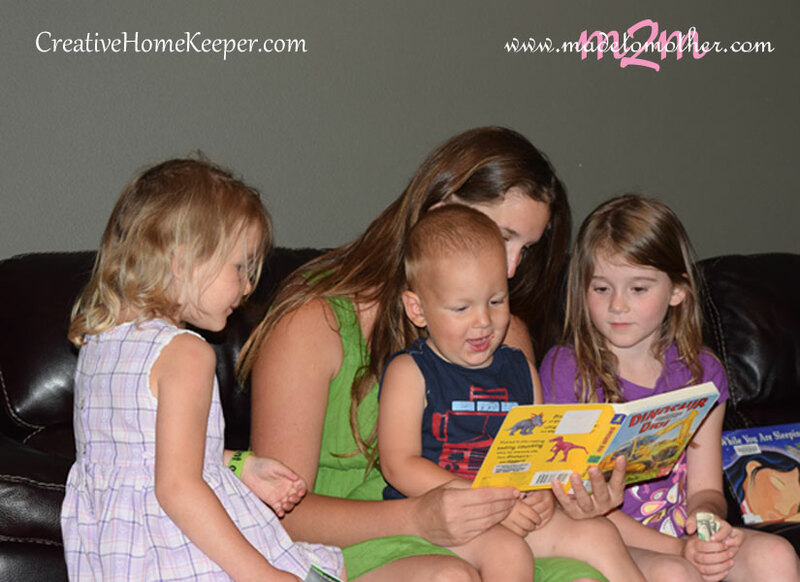 Sometimes the dishes,housework, playdates, and homeschool are overwhelming….but I love it. Thanks for reminding me.